Paint within a theme. 15-30 day challenges. Explore a theme for two weeks or more. Give myself time off in between. Grow my Etsy shop. 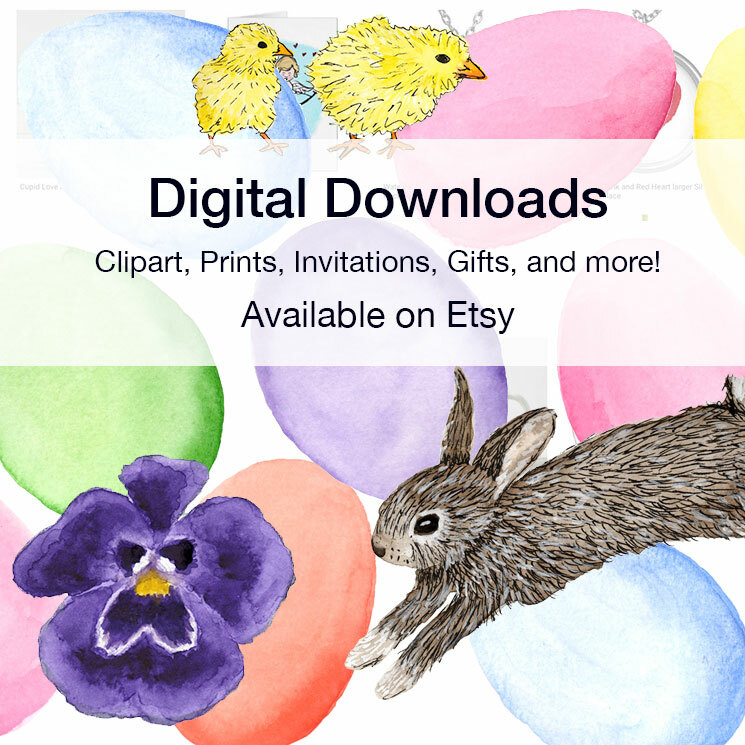 At the end of 2018 I began offering my illustrations as digital downloads on Etsy. Learn and explore. I want to continue painting acrylics, would like to try block printing again, and have signed up for a sewing class! I am not really painting in themes for 2 weeks to a month. But what I am doing is painting five mornings a week and working on what I feel like, which are often seasonal illustrations. I am very happy with how this is working out. The work I’m currently doing in the mornings is leading to products for my Etsy shop, as well as using all the accumulated illustrations I’ve painted over the last five years. Growing my Etsy shop is still my number one project. I am really enjoying painting (of course) but also using those illustrations to design different types of digital products. I feel I won’t be truly able to gauge the success of my shop until I have 100 products in it (not including out of season products). I haven’t really painted in acrylics BUT am committed to making that happen soon. I did take a sewing class and made a pillow, but haven’t motivated to try to make something else. I really want to use my own fabrics! Teaching wasn’t a 2019 goal (It was a 2018 goal), but I embraced an opportunity that presented itself and began teaching first and second graders at an after school art studio. I loved it! I’ll get the chance again over the summer. One thing I try to do is be open to opportunities, even if they are out of my comfort zone. I’m glad I took stock on how I’m doing so far. I’m happy with my progress. And even before doing this, I decided that I would try to pursue the other types of creativity on the weekends. Here are my revised goals. Paint with acrylics on canvas. 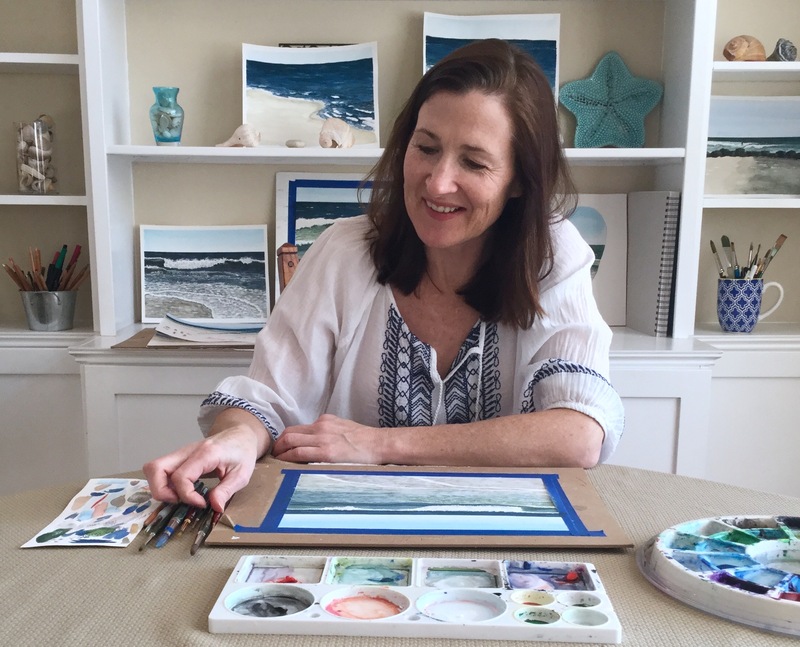 Seascapes including a 2 canvas piece. Teach – online and in person. Note to self – finish the ice cream cone project. I have two other project tutorial PDFs in my Etsy shop. Collaborate with a sewing blogger – is that you? Contact me! As I write these revised goals I’m realizing that the more specific the goals, the easier it is to go for them. How’s your creative year going so far? Categories: Creating Products, creative habits, Inspiration | Tags: achieving creative goals, achieving goals, creative, creative goals, creativity, goal setting | Permalink.